Cute bungalow packs a lot in 1318 square feet. 4 Bedrooms, 1 Bath with new carpet in dining room. 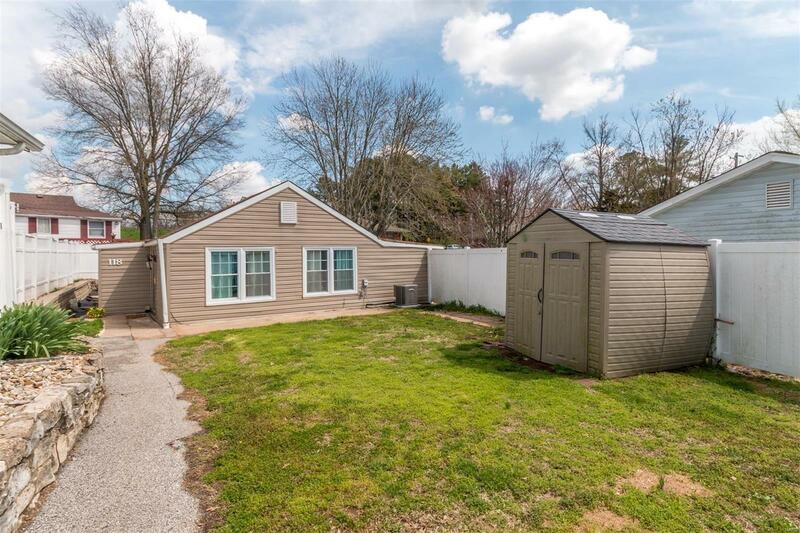 This home has a super cute front yard with a vinyl picket fence. Nice flat front yard and off street parking for 4. Enter into the large living room with laminate flooring and on to the open kitchen/dining rooms. Just off the kitchen is a laundry room. There is one bedroom of the living room and the others are toward the back of the house. House has newer Air Conditioner and roof is approximately 10 years old. Where else in Columbia can you find a 4 bedroom home for this price? Great opportunity to own a sweet home on a quite street that is part of a charming community. Just minutes from town center, schools and parks. 7 minutes to JB Bridge in St. Louis for an easy commute!